By Sarah Flowers July 2, 2012 July 2, 2012 Conferences and Symposia, Governance, Reports, YALSA Info. A president-elect advisory task force to work with president-elect Shannon Peterson on defining her presidential theme and setting her goals. An appointments task force to work with president-elect Shannon Peterson to help her make committee appointments during the coming year. 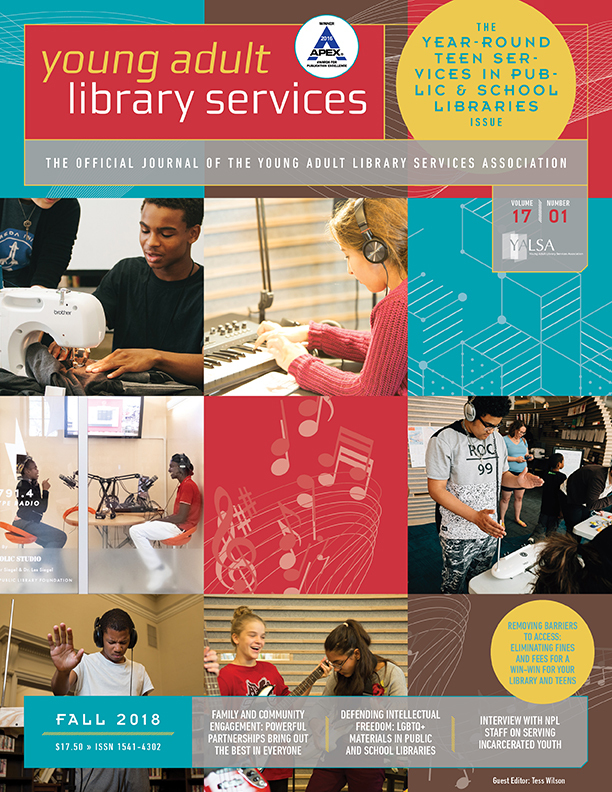 A 365 Days of YA task force to create and disseminate a calendar of easy to implement teen services resources aimed at new teens services librarians, library generalists, and paraprofessionals. A state library association outreach task force to reach out to YA sections and roundtables of state library associations and school library associations to strengthen ties with these like-minded organizations. A youth engagement task force to find ways to involve teens in the work of the YALSA Board by identifying and implementing projects in conjunction with Teen Advisory Groups. A capacity-building task force to focus on the capacity-building goal of YALSA’s strategic plan. A task force to create a manual for virtual selection committees. A YALSA/ALSC/AASL task force to look at issues around the Common Core Standards. Tagged ALA Annual 2012, Conferences, Member Engagement, strategic planning, task forces, Virtual Committees, YALSA Governance, YALSA Info. By admin June 29, 2012 June 29, 2012 YALSA Info. Thanks for your patience during the ALA blog and wiki outage! If you were following #YALSABlogInExile and #TheHubInExile you know that The Hub bloggers did another fantastic live blog of the Best Fiction for Young Adults Teen Feedback session (with video from Kate Pickett on Qik). Don’t forget that the YALSA Twitter feed and YALSA and Books for Teens Facebook pages are always sources of up to date information about YALSA, and places where members like you can make your voices heard. But for more apps and tweets, YALSA coverage from ALA Annual 2012, summer programming ideas and much much more, look no further than the YALSA Blog! By Local Arrangements Committee May 31, 2012 May 31, 2012 Conferences and Symposia, YALSA Info. Get ready– ALA Annual in Anaheim is just around the corner! Be sure to’ take advantage of’ Division Member advance rates â€“ $230 for the entire conference by June 14th for YALSA members. Once you’ve registered, plan out your conference activities with the ALA Conference Scheduler. 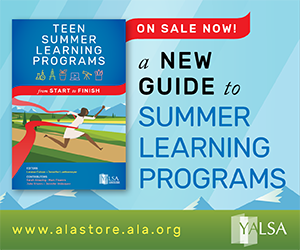 YALSA’s list of events at ALA Annual will give you plenty of options for your schedule! By Sarah Flowers May 1, 2012 May 1, 2012 Governance, YALSA Info. April was a very interesting month for me on the YALSA front. I’m just back from a week in Washington, D.C. On Monday, Tuesday, and Wednesday of last week, YALSA Executive Director Beth Yoke and I, along with several hundred other library supporters, attended National Library Legislative Day. Beth and I had eight separate meetings over two days, with legislators’ staff members, and with representatives from other organizations that have similar interests to YALSA, such as the Afterschool Alliance, the Center for Excellent Education, and the International Reading Association. We talked about how we could support one another’s missions. Then on Friday and Saturday of the same week, I staffed the YALSA booth at the USA Science and Engineering Festival at the Washington Convention Center. Along with DC-area YALSA members, I handed out bookmarks and flyers, showed the demo of the YALSA Teen Book Finder App (available in Mayâ€”we hopeâ€”from Apple’s App Store), chatted with teens, parents, teachers, and librarians, and did some on-the-fly readers’ advisory. We encouraged teens to participate in this year’s Teens’ Top Ten, and there was a lot of interest and enthusiasm. By Local Arrangements Committee April 24, 2012 April 22, 2012 Conferences and Symposia, YALSA Info. The countdown is on: only two months until the’ ALA Annual Conference in Anaheim! Have you registered yet? 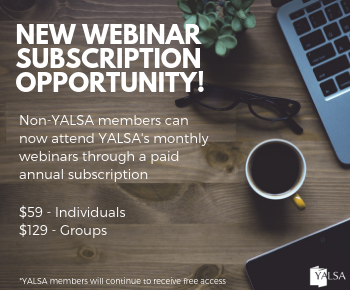 Remember to take advantage of Early Bird registration – just $215 for YALSA members until May 13th.’ Check out all of YALSA’s’ can’t-miss Conference sessions‘ and start putting together your schedule now. In our ongoing series of posts, YALSA’s Conference Marketing and Local Arrangements Committee has shared practical tips on how to make the most of your ALA experience and many reasons to come to Anaheim. Now that the big event is approaching, here is a refresher. Make lists and really prioritize what to see at conference, especially if there is a time or distance limitation. There always seems to be one program that conflicts with another great program or one that is located far away from the conference. Your schedule can be really tight when you have commitments, such as a committee obligation or presenting a program. Highlighting or putting tape flags on the conference program is a great idea to organize your schedule. Following a “track” is a good way to minimize conflicts. Some days you will feel overwhelmed by all the programs and exhibits and may need to take a break and relax, so plan some time for that too! Anaheim is not necessarily a pedestrian friendly area. So, fellow YALSA peeps, pace yourselves and check the shuttle bus/hotel map to save your feet, and take a look at our “Getting Around Anaheim” guide on the YALSA wiki. We like to pack light and leave lots of room in our luggage to bring stuff home. Layers are a must, as well as non-wrinkle clothes that can be rolled up into a small carry-on. If you are driving, then you don’t have to worry as much about the weight. Remember, wheeled carts are not allowed on the exhibit hall floor, and your shoulders will not be happy with you lugging all those bags around. As we have advised previously, if you load up on swag, be selective. Find a bag check to store things. If you are staying nearby, there may be a shuttle bus for you to take things back to your suitcase. It is often convenient (and cheaper than airline baggage fees) to ship items directly from the convention center, depending on how long the line is. So, enjoy, but don’t get bogged down by too much weight. Stash some hidden cash about your person so you don’t have to pay those heavy-duty tourist ATM fees. That said, always be aware of your surroundings any time you travel. Think twice about bringing expensive jewelry or precious items. Load up on non-perishable snacks so that you don’t have to pay for them at the convention center. Don’t forget your reusable water bottle, either. We all know it’s expensive to eat at a conference, or you will have to walk far to find more choices. Hit all the free receptions for more sustenance including ones on the exhibit floor. If you have food allergies or other dietary restrictions, you already know the importance of bringing your own safe snacks. If you want to go across the street to Disneyland, don’t take more than a small backpack or shoulder bag with you, as the park’s’ storage’ lockers are very pricey. Also, always remember your water bottle, sunscreen, and layers for after dark when the temperature drops drastically. Take a bus tour to other local theme parks and attractions if you have the time– for ideas, visit the YALSA wiki and see what else the Orange County area has to offer. …and most important of all, bring your walking shoes. By Local Arrangements Committee January 30, 2012 March 29, 2012 Conferences and Symposia, YALSA Info. Now that ALA Midwinter has come and gone, you’re probably itching to flip your calendar forward to June in anticipation of’ ALA Annual‘ in Anaheim, June 21 â€“ 26. 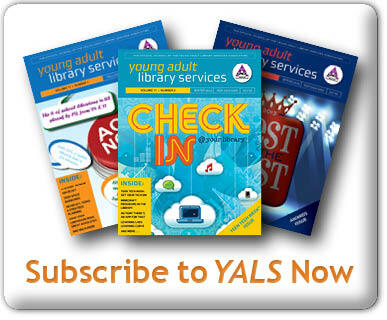 ALA Annual: Mark your calender for YALSA programs! By Local Arrangements Committee December 27, 2011 December 27, 2011 YALSA Info. Take a break from shoveling the snow and do some armchair traveling. Start planning your ALA Annual Conference experience for next summer in sunny Anaheim, June 21 – 26, 2012. Think palm trees, sun, surf, and networking with fellow teen librarians! 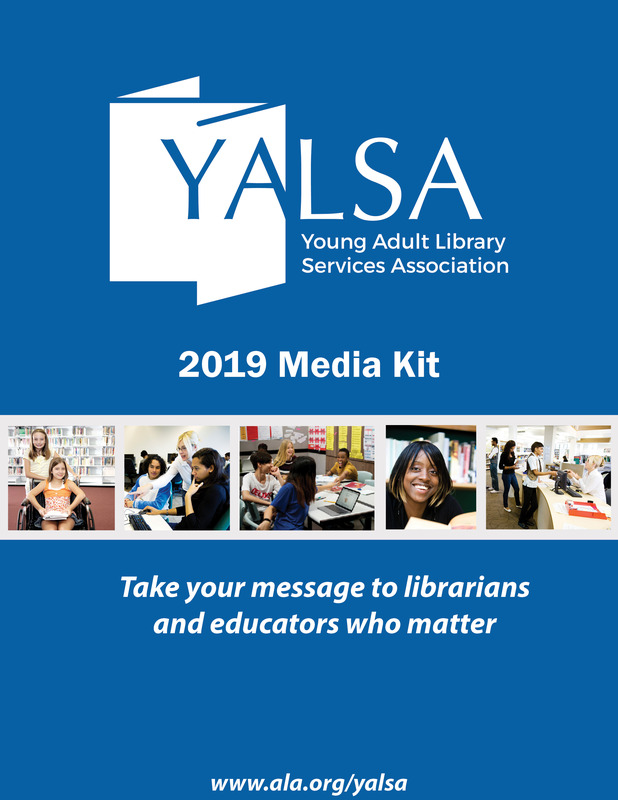 Believe it or not, just as we are about to take off for ALA Midwinter, the schedule of programs and events hosted by YALSA at Annual is already available for your perusal. The membership submitted their votes on the programs a few months ago. Here are some highlights that need to end up on your â€˜must do’ list while in Anaheim! Books We’ll Still Talk About 45 Years from Now: Explore styles and themes of YA fiction through recent years and how to decide what YA novels to promote. Source Code: Digital Youth Participation: Learn about potential applications of digital media and how to work with teens on a virtual project. By Local Arrangements Committee November 30, 2011 December 8, 2011 Conferences and Symposia, YALSA Info. Your calendar is marked for June 21 – 26, 2012. You’re going to ALA Annual in Anaheim!… Now what? Orange County Great Park Located south of Anaheim in the city of Irvine, this park- formerly a Marine base built as a wartime air station in 1942- offers free carousel rides and hot-air balloon rides, as well as an art gallery and children’s playground. Great Park Balloon Rides One of the largest tethered helium balloons in the U.S., this ride soars 400 feet in the air, is safe, and free! Ride the Balboa Island Ferry Experience historic charm while enjoying the scenic crossing between Balboa Island and Balboa Peninsula.’ You can ride the ferry on foot, bicycle, or in your vehicle.’ Prices range from free-$2. Downtown Disney Enjoy a mini-Disney experience without having to pay the admission (or parking) fee. The Downtown Disney District features unique sights and shops. ALA Annual Conference’ is an absolute blast.’ It can also be expensive.’ Registration, travel expenses, spending money when you get somewhere, it all adds up. ‘ However!’ There are ways to go to Annual in Anaheim’ next June on the cheap.’ It will take some planning (and maybe some begging) but every little bit helps when it comes to covering the cost of your conference. 3M/NMRT Professional Development Grant‘ – Helps finance attendance at ALA Annual. It covers round trip airfare, lodging, conference registration fees and some incidental expenses. Must be a personal ALA/NMRT member working within the territorial U.S.